Attraction has a total of five reels and three rows. The setting of the slot is underground, in a laboratory. The slot has standard symbols and animations that do fit the theme. The standard symbols range from the ten to the Ace. The animations consist of equipment you might find in a lab, such as monitors and measuring devices. This slot is mainly about excitement: the wild symbol and the big magnet react to one another. When you're lucky, you might just win sizably with only two spins. 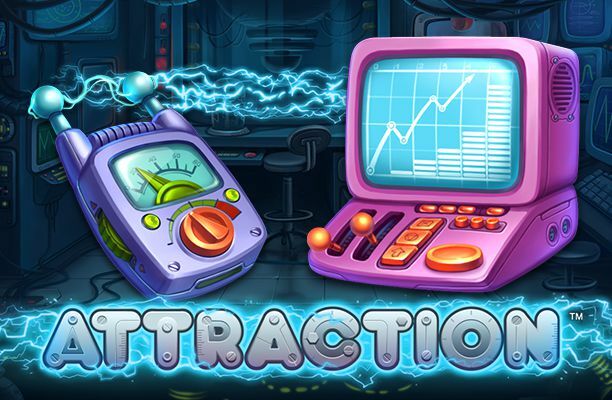 Attraction is a very entertaining slot by the Swedish software developer Net Entertainment known for their quirky features on their slots. With Attraction, the developer has proven once again that there are no limits to what you can do with a slot for a wide audience. 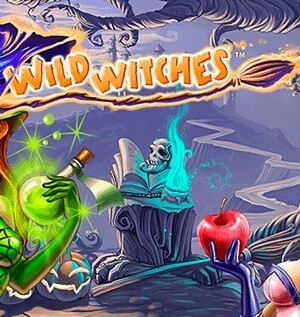 Even though it doesn’t have free spins, a bonus game or a jackpot, this game is immensely popular. This has everything to do with the low minimum bet (€0,10 on 10 pay lines) and the frequent feature capable of creating some exciting moments and large wins. Attraction has a total of five reels and three rows. The setting of the slot is underground, in a laboratory. The slot has standard symbols and animations that do fit the theme. The standard symbols range from the ten to the Ace. The animations consist of equipment you might find in a lab, such as monitors and measuring devices. This slot is mainly about excitement: the wild symbol and the big magnet react to one another. When you’re lucky, you might just win sizably with only two spins. 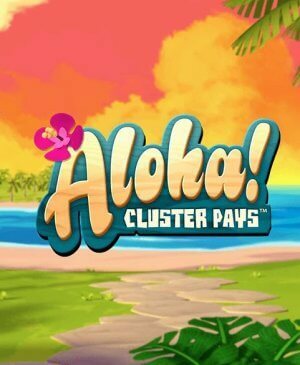 Once you start playing, you will soon notice that Attraction only has ten pay lines. Ten is a very meager number for a slot, but, it also has its advantages. Firstly, you can play with one cent per pay line, amounting to a total wager of only €0,10 per spin. Secondly, it’s much easier to spot a win being formed or not. Put differently, it’s much easier to keep track of what’s going on on your reels. This is also a result of the simple and clear animations. To the right if the spin button, you can alter the coin value. If you want an even larger total wager, or if you just want to up your total wager another way, use the number of coins per pay line. To the left of the spin button, you can find the buttons needed to alter the number of coins per pay line. Attraction has a newly developed feature, designed to make this game even more interesting. The game has a wild symbol and a magnet. With every spin, this magnet will change its position. If there’s a wild symbol on the same row position as the magnet, you’re in luck. Namely, when that happens, the wild symbol will expand in the direction of the magnet. So, all position in between the wild and the magnet will turn wild. And that’s not even all of it; all reels with a newly-formed wild symbol can be re-spun. Therefore, chances are you will win handsomely, especially when you’re lucky with your wilds and magnets. Attraction is a very entertaining slot. The animations and sound effects are good and fit well within the theme. For a lot of players, the lack of a jackpot, free spins, and a bonus game might be a real bummer, but the special feature might just make up for it. 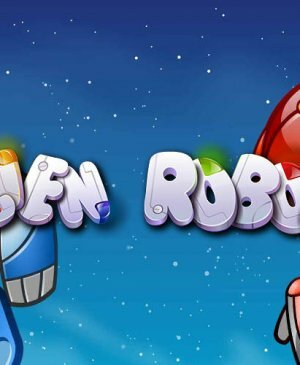 Because of the changing position of the magnet plus the re-spin option, it’s not only an entertaining feature but also a potentially lucrative one with its maximum potential win of 50,000 coins.